My life began on June 4, 1949. I was born in Enterprise, Alabama. My mother, Grace Wilkins, was a God-fearing woman. She always told us to listen to that small voice inside of us and it would tell us right from wrong. That voice was Jesus Christ! Mom used to get us dressed and take us to church every Sunday. Even if she didn’t have a clean dress to wear, she would take us and come pick us up. My dad had a bad habit of drinking alcohol and he would not go to church but he never stopped us from going. When I was 15 years old, my dad got sick. Me and my brother Glen helped daddy cut firewood and sell it to pay bills until he just couldn’t work anymore. He had drank so much his kidneys and liver were shutting down. He died that year and he was only 37 years old. On his death bed, a pastor friend of his lead him to the Lord and he got saved! After dad died, we went to live with my mom’s mother and father. They lived in New Brockton, Alabama. So me and my three brothers and my sister went to school there. I got saved that year. I knew I wanted to see my dad again in Heaven. Well, mom had never worked and she tried to find a job but it was hard. Me and my older brother worked and went to school. I had jobs like picking cotton, stacking peanuts, loading fertilizer our of a box car at the old depot in town, washing oysters at the oyster bar and delivering papers; anything we could do to make a dime. But during that time, I learned to buy and sell things like horses, saddles and tack. I looked at the successful people and I looked to the poor people. I noticed the people that were living for the Lord were blessed more that the people living for the devil. The people living for the devil were getting sick, paying fines and getting locked up, wrecking their cars and dieing young. I also noticed the boys that were disobeying their parents were always getting in trouble. The people that lived a God-fearing life were being blessed with health and riches, so I never drank alcohol, I never smoked cigarettes, never did drugs and always listened to my mom. I didn’t want to let her down. I am now 66 years old and I am in great health. God has blessed me with a great son and daughter and four grandchildren. I used to eat lunch on 20 cents a day when I was 15 and barely got by. Now I have six million dollars of property with houses and land in 12 states. But the most important thing I have is salvation in my Lord, Jesus Christ. For you see, we are only passing through this world, going home to be with our Savior, Jesus. I wish every young person would listen to that small voice inside them to do that which is right. For we are all on trial every day on this Earth to decide where we will spend eternity: Heaven or Hell. I pray that everyone will choose Heaven. For God gave His only begotten Son to die for our sins so all could have eternal life. 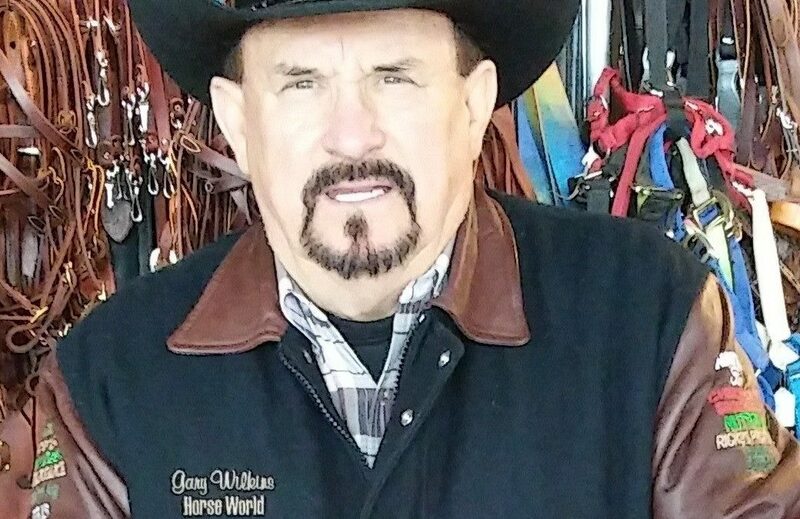 Gary has owned Horse World Saddles and Tack since 1979 and currently lives in Boyd, Texas.